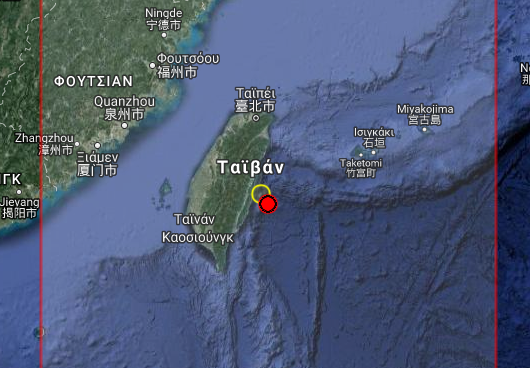 A 5.3R earthquake has been reported in Taiwan this afternoon. We expected this today at coordinates (24.3N, 122.2E). Excellent accuracy for our means. (This is the fifth coordinate prediction for the day).